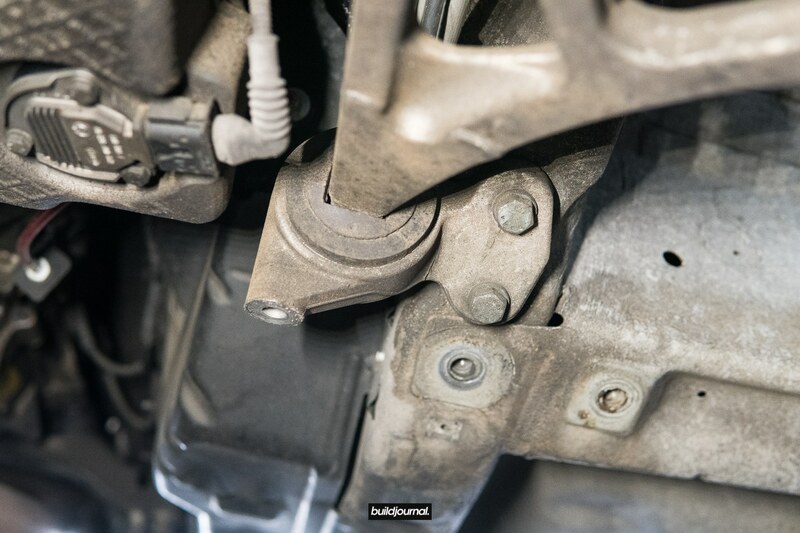 The E46 M3 FCAB connects the front control arm to the chassis and it is a regularly serviced bushing which you can find on our Ultimate E46 M3 Maintenance Guide. 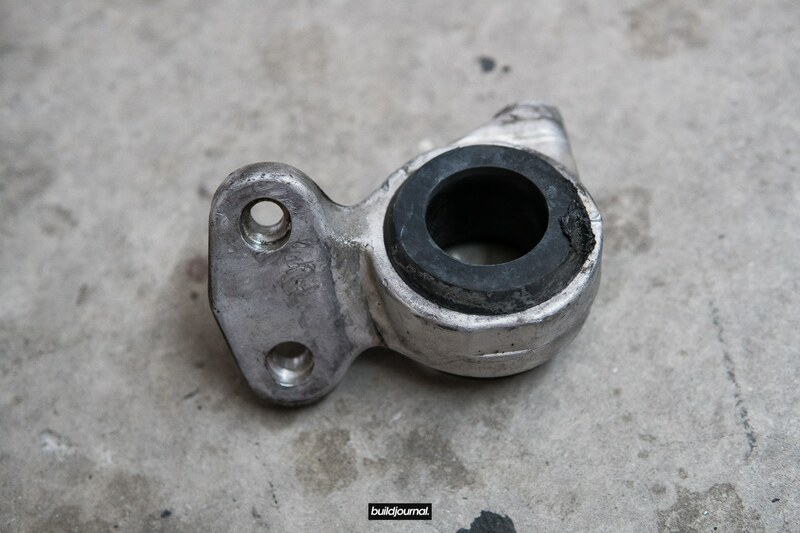 Front control arm bushings are very important to replace every 100k miles or so on a daily-driven car as it affects the car’s handling characteristics. 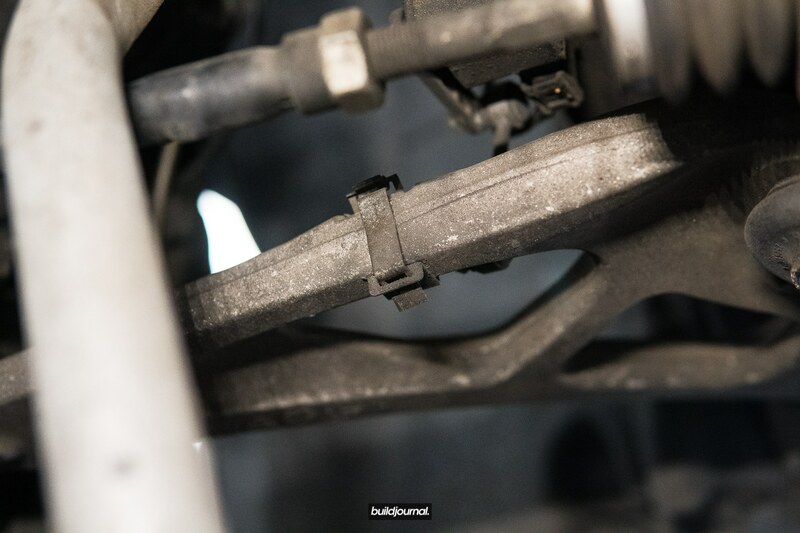 The control arm connects to the front control arm bushing which is mounted on the chassis. A worn out FCAB may result in uneven tire wear and/or dull steering response. Factory rubber, polyurethane, delrin, spherical and monoball. What’s the difference between the different bushing materials? The one word you need to understand is deflection. Deflection basically means articulation and depending on the component deflection can be good or bad. 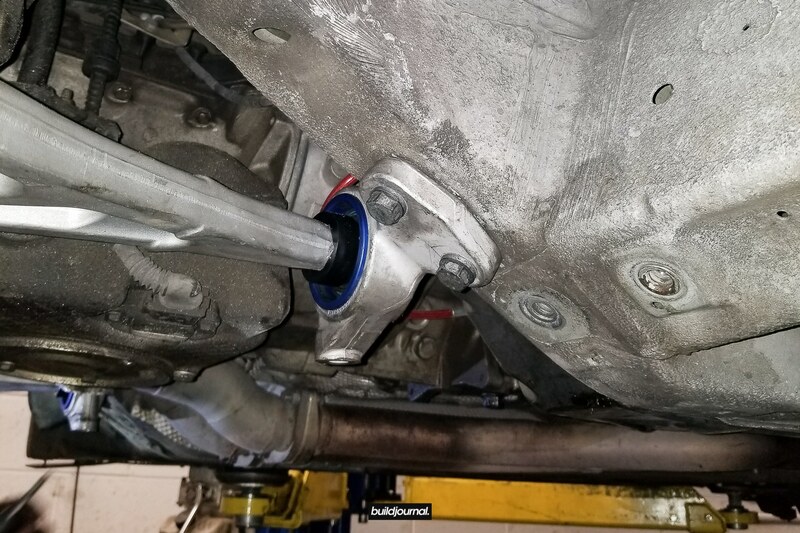 For example, the front control arm bushings perform better with less deflection, however the RTAB needs articulation to bring power to the ground. For those that seek comfort, we recommend staying with factory, polyurethane, or even delrin. Disclaimer: This DIY does require you to lift your car so please use proper tools and follow all safety procedures if you choose to attempt. This guide is for your reference only. We are not liable for any damages or injuries that result from this guide. 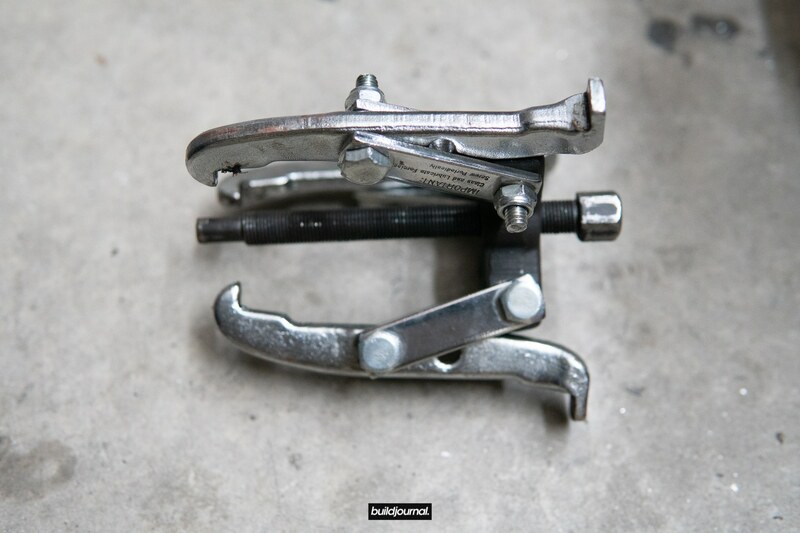 You will also need a 16 mm socket and a bushing press tool which can be bought on ECS or you can try renting it from your local auto parts store. I highly advise you get the kit from ECS because my AutoZone kit did not work! 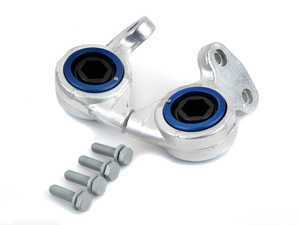 I ended up getting the Turner Motorsport Greasable Monoball Front Control Arm Bushings for my car since I mostly use it for track. 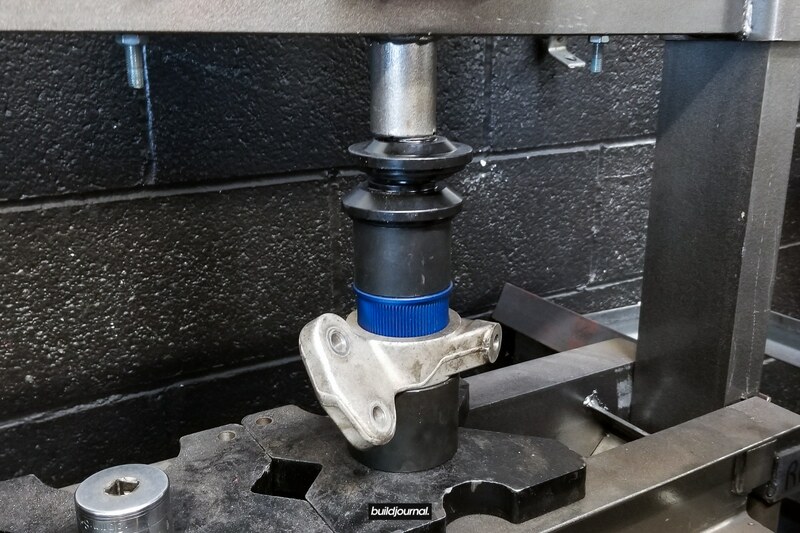 The monoball design basically eliminates any deflection in the bushing for the sharpest steering response, however for the Turner FCABs there is a delrin bushing between the monoball and bushing lollipop to decrease NVH. They swear it’s quiet enough to street. I’ll save that for another review, but let’s get into the install. This is my first time installing the E46 M3 FCAB and I’ll walk you through the steps so you don’t make the same mistakes I did. The installation is rather easy and the hardest part is pressing the bushing in and out. 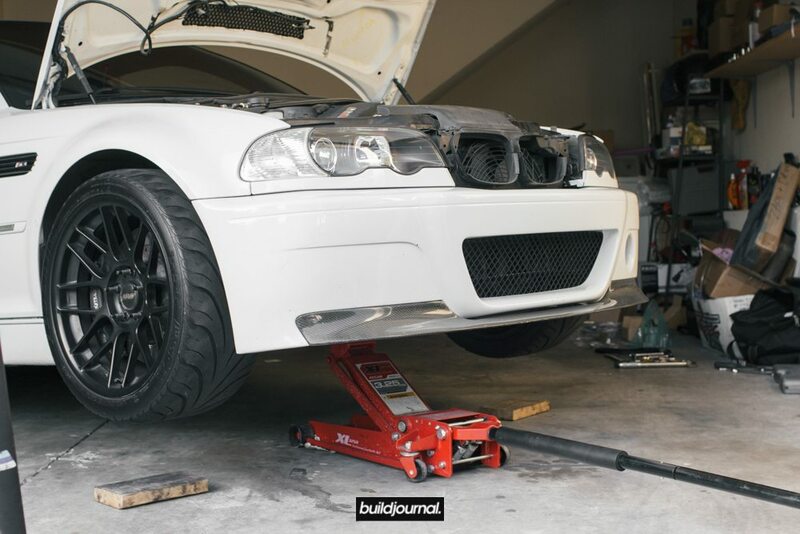 1.1 Straighten your wheel and use the center jack point to lift the front. 1.2 Place 2 jack stands to keep the front of the car lifted. 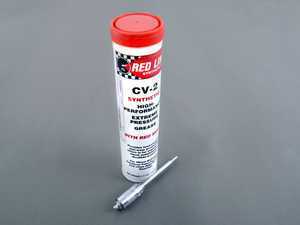 1.3 Use jack or tire as an emergency backup support. 1.4 Remove plastic under tray located underneath the car. There are seven 8mm hex screws total. 1.5 Remove metal under tray brace using 16mm socket. 2.1 Take a small pry bar or flat head to release the clip on the passenger side front control arm. 3.1 There are 2 16mm bolts holding the lollipop in place. 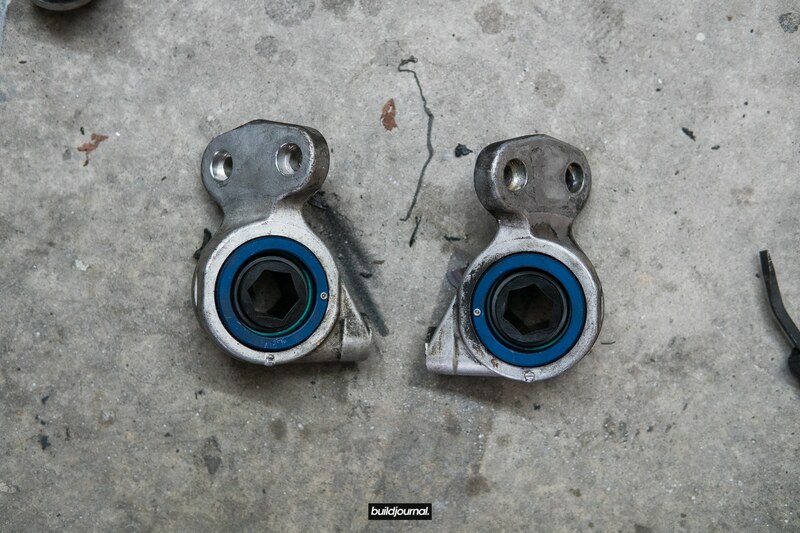 Your control arm will droop down to access the bushing. 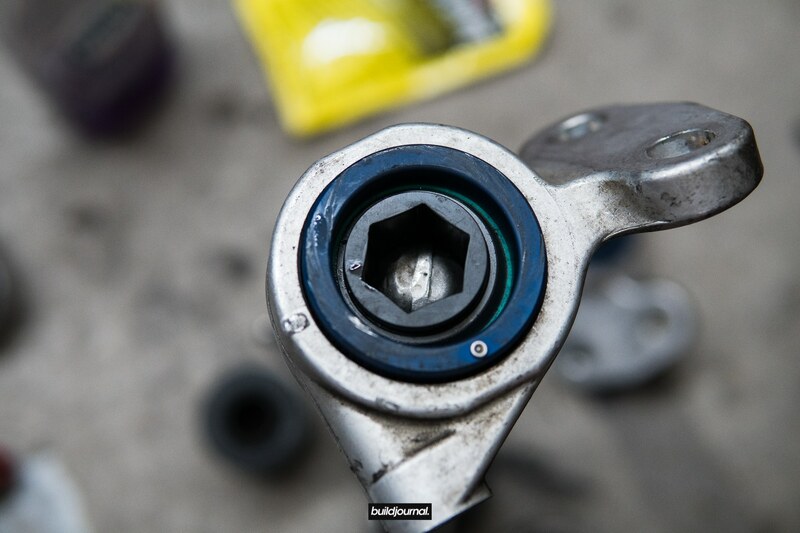 3.2 Use a 3-jaw puller to remove the bushing from the front control arm. 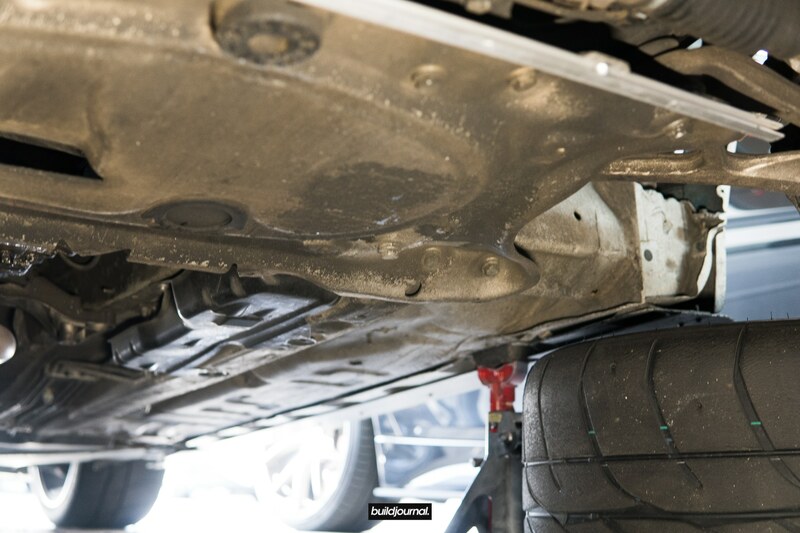 In this picture below the front control arm is completely off the car because I replaced the arms as well. You should be able to use the puller while the arm is still on. 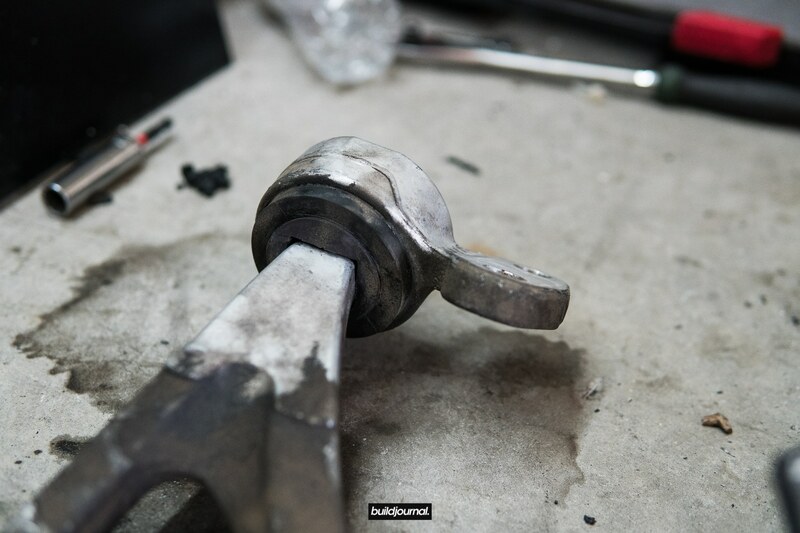 4.1 Use a bushing press tool to remove the old FCAB. 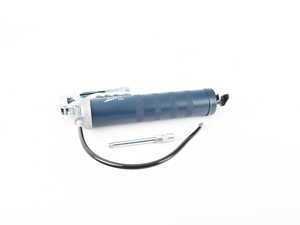 I rented a ball joint separator from Autozone, but I do not recommend using this tool! It’s worth a try though since it’s free, but I couldn’t find a spacer that fit the circumference of the bushing. 5.1 I went to a shop to get the new ones pressed in. Did not want to chance on the brand new bushings. 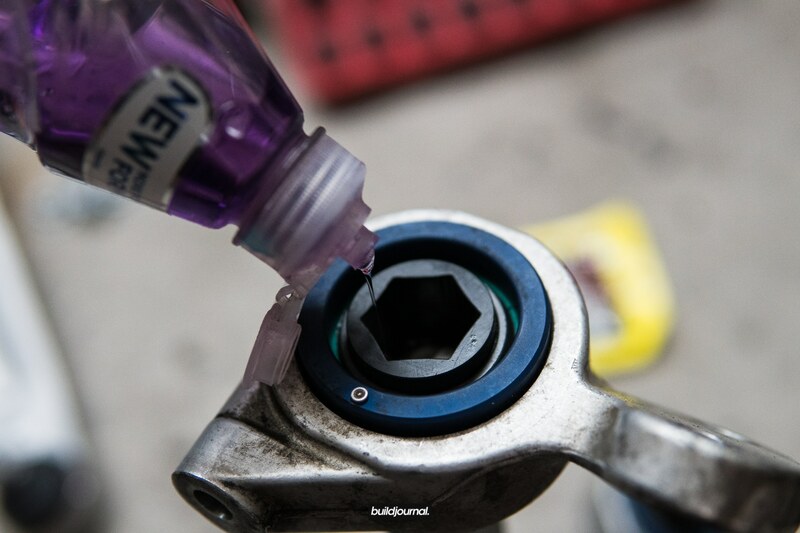 6.1 I lubed the inside of the bushing with dish soap since everyone does this method, however it is very important that you seat the car on the ground while the soap is still wet. Settling the car after the soap dries up will result in the bushings not sitting correctly. 7.1 Insert the two 16mm bolts and torque to 44 ft-lbs (60 Nm). 7.2 Install headlight leveling sensor, front brace and under tray. Torque front brace to 43.5 ft-lbs + 45-90 degree turn.